ImageSails are the first in-the-world printed sails for art and advertising, with no compromise in the sail’s performance. The brainchild of photographer Daniel Gohstand, their Patented process creates the finest imaging clarity and durability available. There is virtually no weight gain, nor effect on the characteristics of the fabrics, which are the finest sail cloths from the world’s top manufacturers, including Challenge Sailcloth™, and DIMENSION-POLYANT™. Artistry: The ImageSails Design Team is an international team of artistic and technical genius, allowing ImageSails to create in a way never before achieved. CEO/Creative Director Daniel Gohstand’s eye and emotional depth have paved the way for uniquely communicating your ideas and spirit. ImageSails are: the first of their kind, the best marketing outlet in years, American hand-crafted, and beneficial to Doctors for Santa Maria de Jesus… a stunning method of distinguishing yourself and your brand. Anything we may together dream-up! We are your Art Department! We are your Design Team! ImageSails embraces the concept of advertising as art, and indeed, art as advertising. We feel the two needn’t be mutually-exclusive, but may instead be mutually-beneficial, allowing for pure creativity, and advertising artfully delivered via a cutting-edge method in a unique setting. We meld powerful advertising with brilliant art, in a way that’s more memorable, and therefore, valuable, on every level. ImageSails’ memorable presentations serve as unforgettable statements, whether personal, or branding. ImageSails continues to innovate with SailDraft™, our online sail designer! With SailDraft™, we’re not only creating for clients, but clients are also creating for themselves! With this unique online design tool, you may create your own sail: choose a template, upload images or utilize those of our Exclusive Artists, insert text…make it your own! Then order, or contact ImageSails to finalize the project. The ImageSails Design Team is ready to help at any stage of the creative process! Daniel Gohstand’s stunning cultural photographs are available free of licensing fees. Get creative with exclusively-licensed works from ImageSails’ Exclusive Artists, further ensuring the uniqueness of your ImageSail (viewable in SailDraft™). Or, tap into the breadth of the Getty Images™ library. Should you have high-resolution print-ready artwork, it may be directly transferred, or honed as needed by the ImageSails Design Team. Utilize your own photography or artwork, or that of your family. Whatever you envision, we’re here to make your artistic and advertising dreams a reality. Can you print all types of sailboat sails, from mains, to jibs, to spinnakers? Yes! Any sail may be ordered; each is custom-made. Is there a minimum or maximum size you can accommodate? Is there a limit to the age of the vessel? There is no limitation. ImageSails are available for the smallest to the largest of vessels, from classics to cutting-edge. Do you offer other types of printed sails? Yes! ImageSails are printed sailboat sails, catamaran sails, kayak sails, kitesurfing sails, windsurfing/sailboarding sails, other sails, parachutes, canopies, hang gliders, kites, hot air balloons, or any wind collecting apparatus of a vessel. Do you have sponsorship programs available? Yes! We have several options available to unite sailboat owners, schools, charter companies, non-profits, corporations, advertisers, etc. Kindly contact ImageSails for details as they pertain to your situation. How may I add my vessel to those contracted by ImageSails for advertising and promotion? Kindly contact ImageSails to add your vessel to ImageSails’ database of vessels worldwide. We have several options available to unite sailboat owners, schools, charter companies, non-profits, corporations, advertisers, etc. What type of cloth do you use? We use the finest sail cloths from the world’s top manufacturers. ImageSails works closely with Challenge Sailcloth™, DIMENSION-POLYANT™, Contender™, and others, and can print on most companys’ fabrics. Should you have specific needs, kindly contact us so that we may discuss the project, and run tests as required. Most projects require six to eight weeks, depending on visualization time and complexity. Rush turn-around is available at an additional cost. Kindly contact ImageSails if you have a specific deadline, and we’ll attempt to accommodate it. Because of extreme demand for this unique concept, we encourage you to commission today, ensuring your order’s pricing and priority. I know ImageSails are beautifully custom-made in the USA, but I have a sailmaker I already work with. Are you able to work with them? ImageSails is happy to forge a relationship with your sailmaker! Kindly let us know who you’re working with, and we’ll be happy to reach-out to them…or vice versa! As with any sail, and virtually anything, the more carefully you treat them, the greater their longevity. Innovators in new print technologies, ImageSails employs a Patented system to ensure the highest resolution and longest lasting qualities available. Though nothing will outlast the power of the sun, years of research and development, headed by Daniel Gohstand’s wealth of knowledge in printing techniques from his photographic background, has yielded the highest-resolution, most vibrant, UV-and-salt water-resistant, durable prints yet known at sea. ImageSails’ longevity make them extraordinarily cost-effective with time, far outlasting most other means, and allowing advertisers to fly their branding for years for the price of a brief stint as a billboard, or other fleeting means. There are precious few other methods which may be employed so well, for so long, for a single purchase price. All ImageSails are backed by a one-year warranty on workmanship. Any addition or substitution of parts or accessories with those not manufactured by ImageSails, as well as any alteration, modification or other material change made to or on ImageSails products by a third party not authorized by ImageSails, cancels the warranty. ImageSails does not approve any modification made by non-authorized third parties on the ImageSails products. Such modifications may harm the quality and the integrity of the ImageSails products. This warranty does not cover damage done by the consumer or normal wear and tear. Please see ImageSails’ legal page and Sales Agreement for further specifics. Can you print on my used sail? It looks like heck! ImageSails’ proprietary system is employed during the custom construction of a new sail only. Used sails are better the realm of inferior techniques that compromise the sail’s weight and performance (e.g. laminates, sandwiches), laid virtually obsolete by ImageSails. We strongly encourage clients to take full advantage of a beautiful, fresh start, employing the finest art and technology available. I’ve heard ImageSails may be written off on my taxes if used for business purposes and/or advertising or promotion. Is this true? Though this is beyond the scope of our expertise, we encourage you to consult with your tax professional regarding possible benefits. How do I invest in ImageSails, LLC? Please see our Investors page for more information, or contact ImageSails. How do I contact ImageSails, and where are you based? Kindly contact ImageSails for support. We’re happy to help in any way possible! ImageSails is based in Miami, Florida, and maintains further creative studios in San Francisco, California, and Antigua, Guatemala. 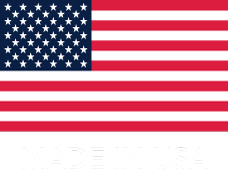 ImageSails are proudly custom-made in the USA.